A potential race win for Anthony Dunn & Barry Gates went up in smoke at Snetterton this weekend after a problem whilst refuelling took them out of the lead. Despite only qualifying in 7th, Anthony made a strong start to stay with the leading pack and kept his head when rain hit the circuit, taking advantage of the conditions to jump up to 2nd behind Rob Garofall's Norma. Once the track dried, he level pegged Garofall on pace and kept Pole sitter Nick Padmore behind. The trio streaked away and were a lap ahead of the rest of the field after an hour of the 6 hour race. Anthony took the lead of the race as the others pitted and held this until the pitstops. 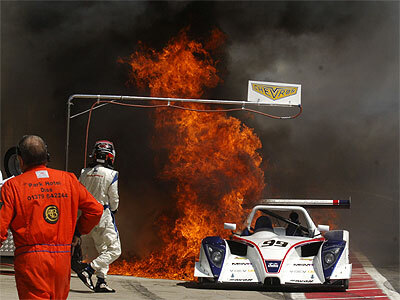 As the Chevron Racing Team went to refuel the car, the refuelling unit failed, dousing the car in petrol which then ignited on the hot exhaust. Thanks to quick work from Chevron and surrounding teams & fire marshalls, the blaze was quickly brought under control, but left the car badly scorched and covered in powder. The team went to work checking the car over and cleaning vital components and together with Mountune racing did a brilliant job of getting the car back out with Barry at the helm, albeit 43 laps down. The pair had a good pace over the remaining 4 hours and even clawed back a lap on the leaders. "Our strategy and race pace was excellent this weekend - the fact that we took a lap back showed we could have won. Barry was very quick and the car was reliable - it's just a shame we had this refuelling failure. It's something that I know VdeV UK are concerned with and the team will work closely with them and the equipment suppliers to prevent it from happening again. 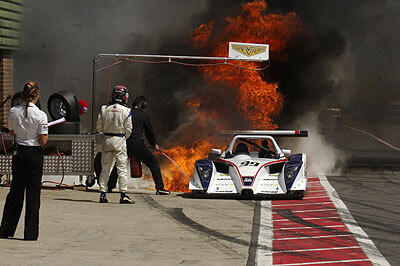 We'd like to extend our thanks to the other teams & fire marshalls for their assistance." said Anthony. 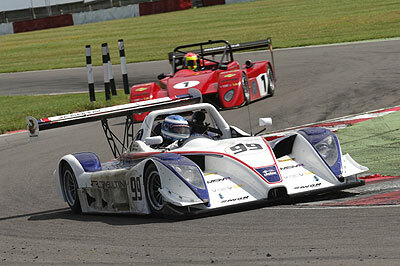 The race was won by Rob Garofall & Simon Phillips in their Norma M20F. 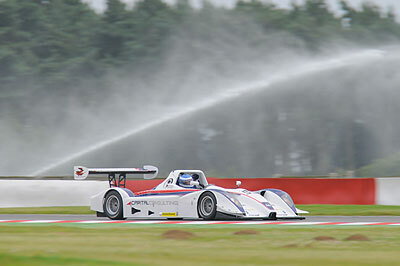 The next race is in 3 weeks time on the Grand Prix Circuit at Brands Hatch.